A 700 mile walk for Turtle Doves! The first Dove Step journey, a 300 mile walk for Turtle Doves was completed in April 2014 and saw Robert Yaxley, Andrew Goodrick and Jonny Rankin walk from Lakenheath Fen RSPB to Saltholme RSPB, covering the core UK range of Turtle Doves in the process. The second Dove Step journey, a 700 mile triathlon for Turtle Doves, was completed in May 2015 and included a Channel Crossing equivalent sea kayak, 570 mile cycle and 140 mile walk, connecting Suffolk to Spain. To date the Dove Step team have endured over 1000 miles for Turtle Doves across just 27 Dove Step days, raising £9k in support of Operation Turtle Dove in the process. Hi Jonny…….I am in awe of your efforts to raise awareness for the plight of the Turtle Dove, a bird beloved by all birders and one of my all time favourites. I am the editor of ‘Birds of Andalucia’, the quarterly journal of the Andalucian Bird Society and would love to feature an article on your noble efforts in the Spring 2017 edition. This will go to print in the third week of March so there is time a plenty! I am hoping you will have seen our magazine perhaps at Heurta Grande or via Yeray or Javi. We as a society support the La Covacha project in the Bay of Cadiz with funding and the new Winter 2017 magazine [due from the printers next week] features the conservation efforts and fund raising for the Montegu’s Harriers in La Janda. Although the societies first language is English, as is our magazine, we have a great mix of members, not only ex-pat English but many Spanish and other European countries as far north as Norway. Members are also found in the USA and Canada, with our Canadian members visiting Spain on a yearly basis. I wish you well on your trek, may it be successful and hope to hear from you. Congrats. Great work with this years journey and fundraising effort. 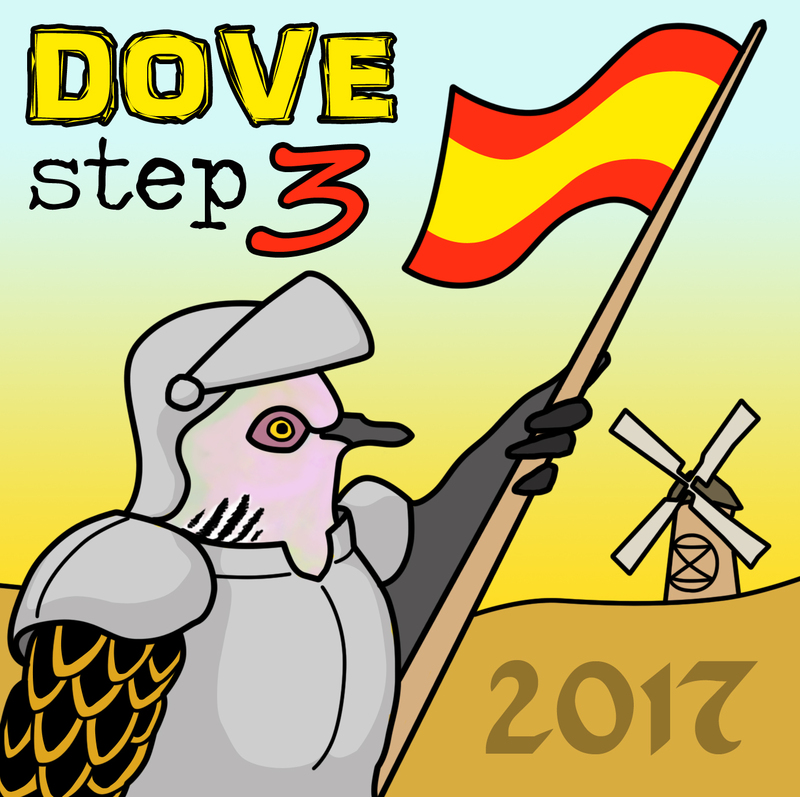 Dove step 4: Taking the fight to the Lions den and a walk around the coast of Malta would get a lot of coverage?